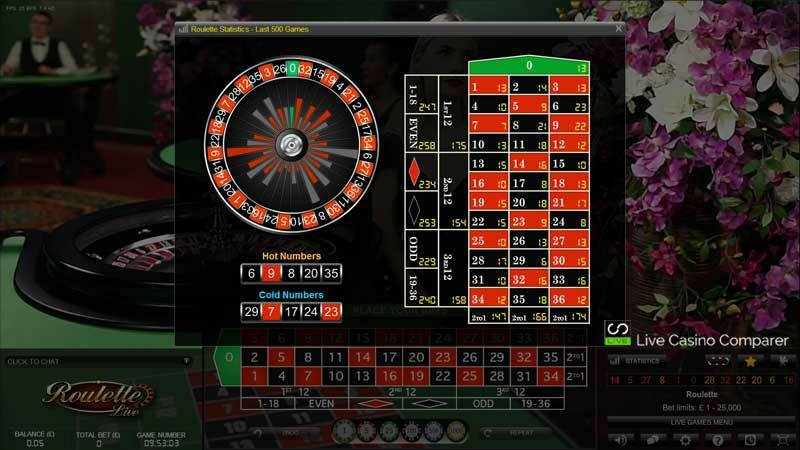 Immersive Roulette by Evolution Gaming requires it’s very own page, as just a few lines in one of my reviews just doesn’t do it justice. 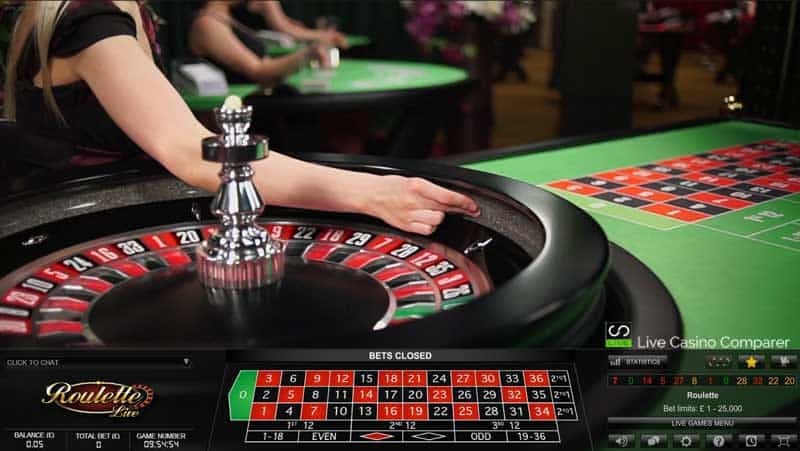 Introduced in 2013 Immersive Roulette has taken the presentation of live casino roulette to a different level that has seen this product win many industry awards for it’s innovation. You must be thinking what’s all the fuss about? At first I was in that camp!. 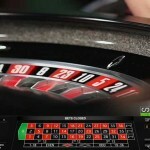 Surely Roulette is just Roulette? 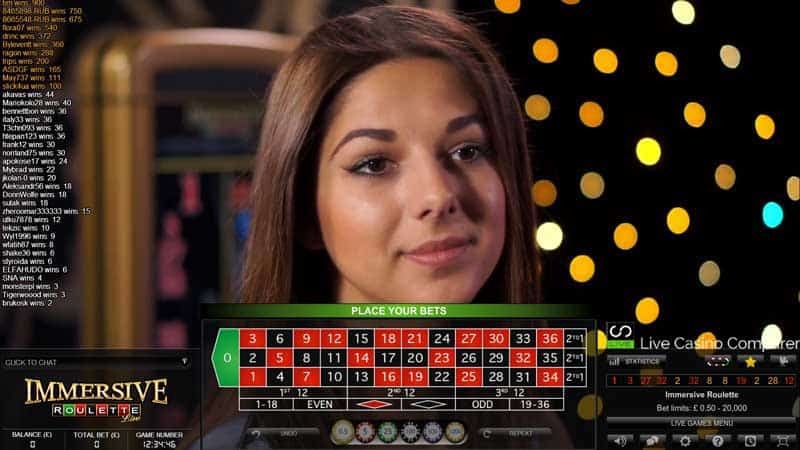 Well the game is standard European Roulette, but the way it’s presented is totally different and that’s what will pull you in. 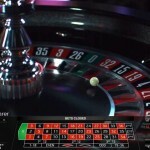 High Definition viewing of the roulette wheel at 200 frames per second from multiple camera angles. Close ups of the presenter from different camera angles. Zoomed in viewing so you can see the ball spinning around the wheel with slow motion replays of the ball landing and settling in the winning number. An engaging presenter that makes it as entertaining as they can! 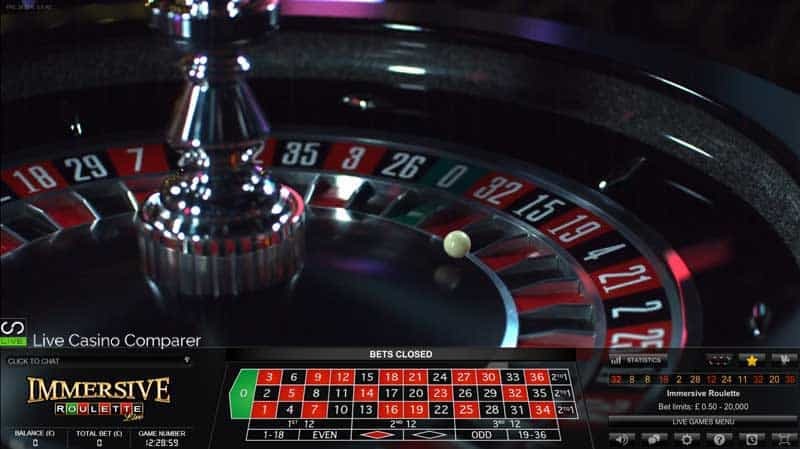 If you’re not bothered about the review and just want to get playing then these are the best live casinos where you can find Immersive Roulette and Immersive lite. 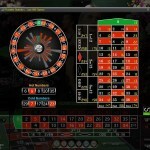 They all provide good customer service, a great gaming experience and offer stake ranges that cover all levels of player. 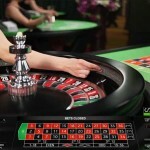 A rather neat innovation that pops the roulette table up during the 25 second “betting time window”. The full game takes approx 65 seconds. Statistics of the last 500 spins of the roulette wheel. The ability to chat directly to the dealer and also hide other players chat. Settings that allow you to alter the video streaming quality, useful if your connection is a bit flakey! A full Help menu that gives details on how to play and in-depth explanations on all the playing settings. Help for placing your bets with a “Racetrack” and specially defined Neighbour and special bets listed. You also get the choice of saving your favourite bets for repeated use. A full history of all your bets is also available for easy viewing. The ability to select full screen mode and the option to switch on / off the slow motion replays. Put all of the above together with an engaging presenter (which they all are), you get a luxury feeling game that seems far more personal than anything you’ll experience anywhere else. 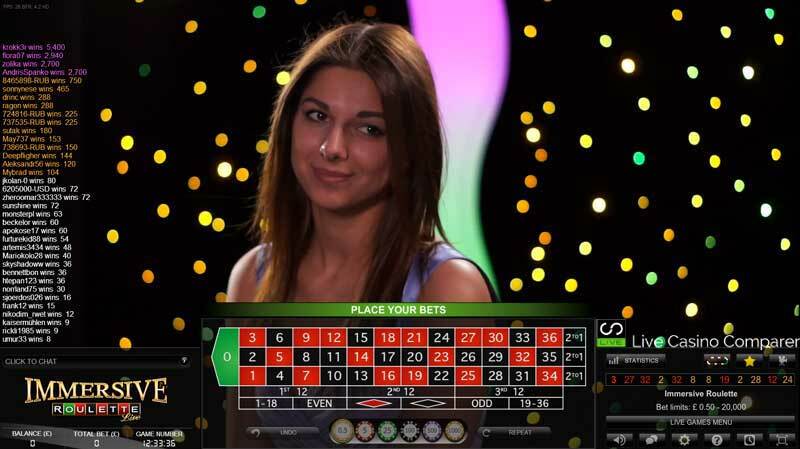 The closest you may get is at Smart Live Casino. They have a similar presenter style but that has more of a TV feel to it. 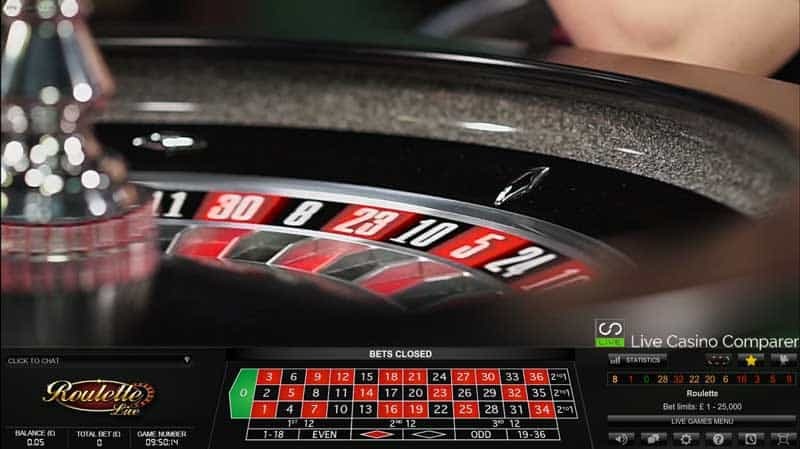 Immersive Roulette has it’s own section in Evolution’s live casino studio away from the general gaming area. Immersive Lite, which I’ll come to in a second is streamed from the general studio floor. The camera pans and zooms are setup in a clever way with the presenter seemingly making eye contact with you every now and then. The high definition means you get to see warts and all on the presenters, which adds to the more natural experience. One of the key features I like and I’ll make a point of highlighting it, is the ability to switch off the slow motion replays. After a while I found them to become a bit tedious and was grateful for the facility to switch them off. Immersive lite has recently been introduced by Evolution, where the Immersive experience can now be applied to any studio table. 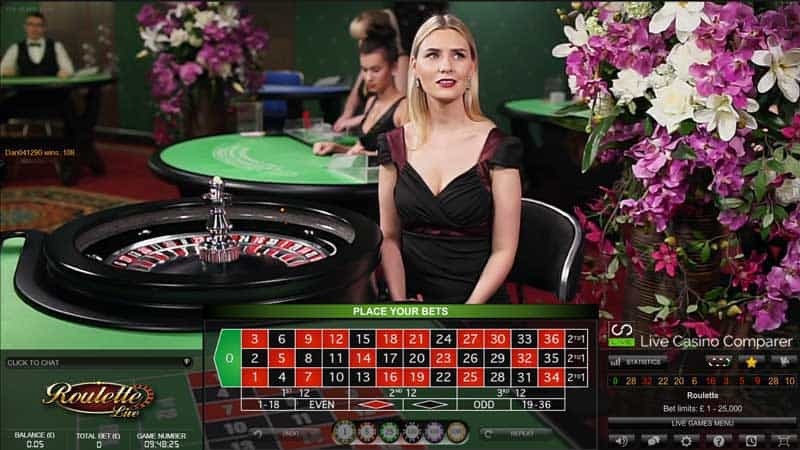 In my opinion this actually adds to the experience as you get to see other tables and dealers in the background while playing and you have the choice of using one or multiple camera views. I think this is likely to take off more and you’ll find more and more players using these tables. As with the full immersive roulette you get great interaction with the dealer / presenters.